An Artist Hid $10,000 Worth of Cryptocurrencies in These Lego Artworks #ArtTueday « Adafruit Industries – Makers, hackers, artists, designers and engineers! Regardless of your opinion about cryptocurrencies, one thing is undeniable: They’ve resulted in some damn cool art. In true “crypto” fashion, some of these artworks inspired by magic internet money double as a puzzle and have resulted in years-long quests to solve them. Los Angeles-based artist Andy Bauch has taken this conceit to a whole new level with his latest solo exhibition, “New Money,” which opens at Castelli Art Space in LA on Friday night. 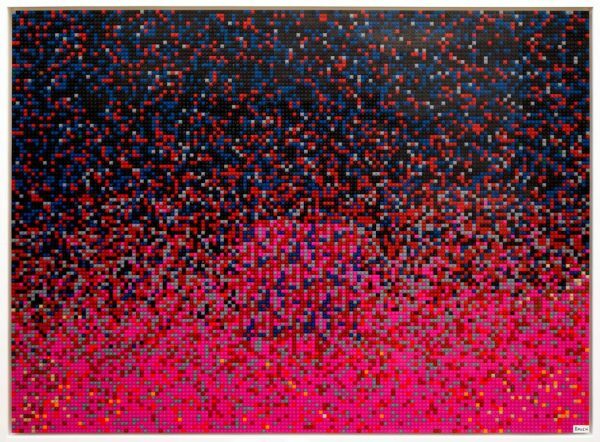 The art featured in the show is created with 100,000 Lego bricks arranged in patterns meant to conceal the private keys to cryptocurrency wallets. According to Bauch, the patterns were generated with “human and algorithmic input.” In total, the artworks on display contain $10,000 in various cryptocurrencies, such as Bitcoin, Dogecoin, Litecoin and Cannabiscoin. “I am attempting to help those without computer science backgrounds visualize and understand the rather abstract concept of cryptocurrencies and simultaneously democratizing the potential and volatility that comes along with them,” Bauch said in a statement. 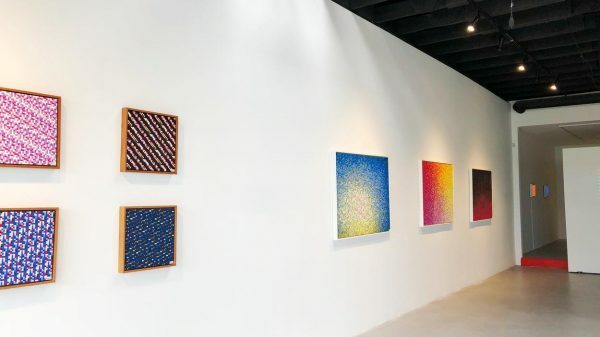 The title of each artwork tells the viewer which cryptocurrency is hidden in its pattern and how much it was worth at the time of creation, which ranges from $10 to $90. At the show, the real time value of the artworks will be displayed with a projection.